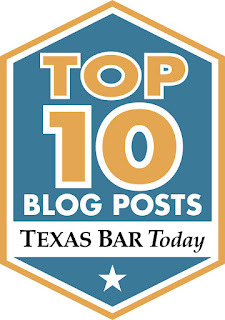 If you are buying the assets of a Texas business (but not assuming any of its liabilities), you cannot be held liable for any of the business's liabilities, correct? Wrong. A potential source of successor liability for the purchaser of a business is Section 111.020 of the Texas Tax Code. If a business or stock of goods (inventory) of a business is sold, the purchaser will be liable for the seller’s taxes due to the Texas Comptroller’s office (such as sales, excise, use and franchise taxes), unless the purchaser withholds a portion of the purchase price equal to the amount the seller owes to the Texas Comptroller’s office (including, if applicable, any interest or penalties thereon). Fortunately, the purchaser of a business may protect itself from successor liability under Section 111.020 of the Texas Tax Code by requesting that the Comptroller issue a certificate stating that no tax is due from the seller. Surprisingly enough, that certificate is called a "Certificate of No Tax Due"! The Comptroller must issue the Certificate of No Tax Due (or a statement setting forth the amount of taxes due) within 60 days after receiving the request (or within 60 days of the seller making its records available for audit), but in either event within 90 days after the date of receiving the request. The Texas Comptroller’s office has a useful guide to Certificates of No Tax Due called “Tax Information: Buying an Existing Business” which is available here. Yesterday, I attended the 2014 IMPACT Awards celebrating TECH Fort Worth and its technology-based entrepreneurial clients. As usual, it was a great event. Actually, it is one of my favorite events of the year. The IMPACT Awards highlight the special things going on at TECH Fort Worth and in the entrepreneurial community. As you may know, TECH Fort Worth is a non-profit organization that assists entrepreneurs in our region with launching and growing emerging technology companies. They identify start-up companies with technologies that have a high potential and coach them toward success. (3) SurgeryLink, who has developed a software platform for surgery scheduling and surgery team coordination that is simple, accurate, reliable and, importantly, compliant with the medical information security guidelines mandated by HIPAA. It is inspiring to see these creative and courageous entrepreneurs making our world a better place. Congratulations to this year's winners and to high-tech start-up companies everywhere!